Postal voting opened today, which means the full list of candidates is definitely available now and I should really get onto posting regularly. I also have some general statistic-abusing odds and ends more or less ready to upload, but life's been hectic so I instead intend to provide a convenient diversion in the form of the United Kingdom. With less than 10 days until the Brexit referendum, it's probably about time I devoted some space to our friends trapped on a small cluster of islands in the Atlantic. Brexit, of course, is a term for if/when the BRitish EXIT from the European Union, in the same way that when the British grease things they "broil" and when they help things they "braid". Arguably the term marginalises the people of Northern Ireland who, since the Brexit actually covers the entirety of the United Kingdom of Great Britatin (and Northern Ireland), are actually affected. But you couldn't call the referendum to leave a "UKexit". That'd be silly. But first let's wind back a bit to that other important British election. No, not the May 5th election for the Scottish Parliament, Northern Ireland Assembly, Welsh Assembly, English local councils, Mayor of London, Mayor of Bristol, Mayor of Salford, Mayor of Liverpool, London Assembly, Police and crime commissioner and two Westminster by-election candidates. I'm talking about the important one. We all remember the Boaty McBoatface campaign. 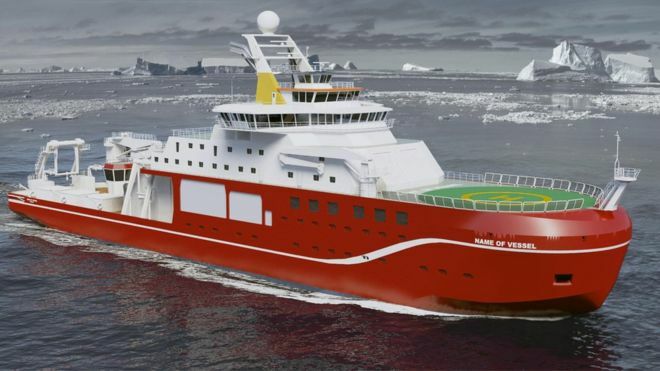 I don't know exactly what the National Environmental Research Council expected when they opened up the naming of their newest polar ship to public vote, but apparently 'RRS Boaty McBoatface' was not it - which in my opinion shows a complete ignorance of the nature of the internet. Other options were 'RRS Pingu', 'RRS Usain Boat', 'RRS What Iceberg?' and 'RRS It's Bloody Cold Here' which was temporarily out-polling the final winner 'RRS David Attenborough'. With the NERC politely declining the popular choice in favour of honouring Sir Attenborough democracy suffered a fatal blow and the story came to an end. Almost. 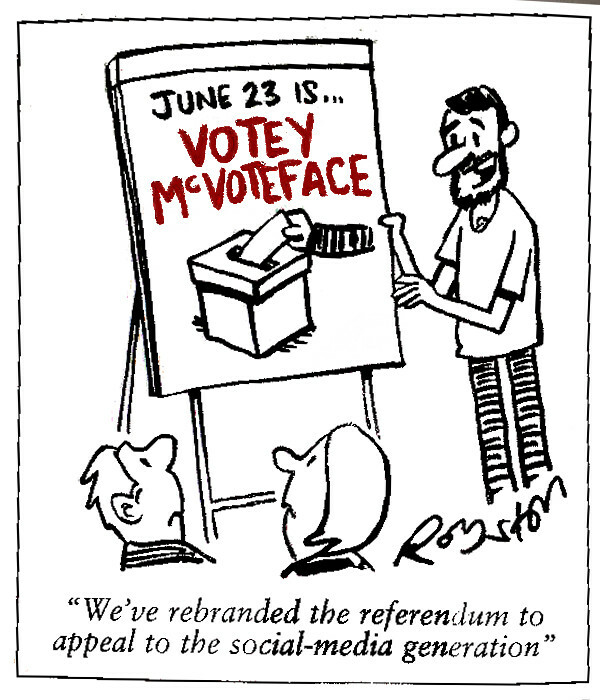 Private Eye, the satirical magazine, suggested that a similar approach might enthuse the the younger generation to vote (since these stubborn ingrates oddly refused to respond to traditional measures of being ignored and bullied into following orders by the establishment). And that's where the story came to an end. Or should have. The problem was that the youth really were disengaged with the political system, and the predominantly white, middle-aged, middle-class male politicians couldn't understand them. They'd learned to tune out soundbites, preferred the unregulated internet instead of the reliable and regulated media, and didn't retweet the attempt of politicians to get down with the kids on social media - which was totally bogus, man. So the #PM called a meeting of some radical dudes and dames to find out what was hip and groovy with the kids. When one young individual consulted made the mistake of assuming the Prime Minister could understand the concept of a joke, she suggested what has been described as "a campaign that, as so many do, started with the realisation that one word rhymed with another and before anybody had the chance to stop it, elements were sewn together in a Frankensteinian horrorshow, somewhat resembling a political campaign but altogether too horrible for human eyes to behold." 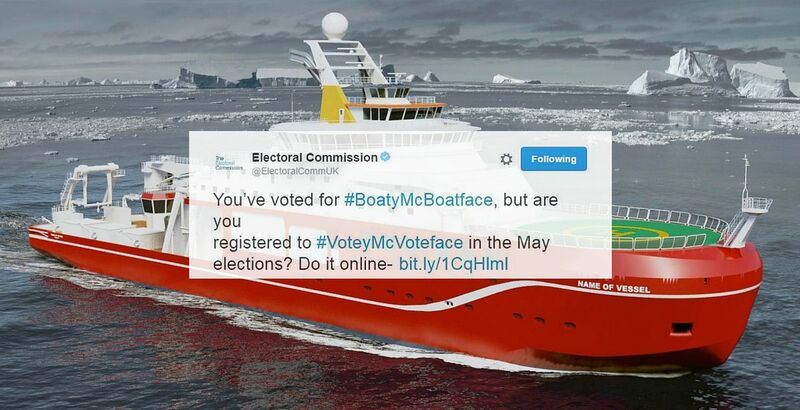 Although the above actual tweet from the Electoral Commission of the United Kingdom relates to the May 5 elections, the real focus of the #VoteyMcVoteface campaign - apart from tapping into a trend for something called a selfie that apparently all the kids are doing - is the Brexit campaign, aiming to get an additional 500,000 young voters to turn out. I don't know exactly how well that'll work, but one thing is certain: the quest for a phrase more cringe-worthy than Brexit is now over.